Whether you’re throwing a wedding, a holiday party or a charity gala, one of your biggest concerns is that everyone has a good time. Once you have the seating chart sorted, you have to let your guests know where they are supposed to sit. Enter the place card. You’ve seen them. Flat or folded bits of paper, tented next to wine glasses or laid atop plates. They may even have fancy calligraphy and laser cut outs, or clever holders. 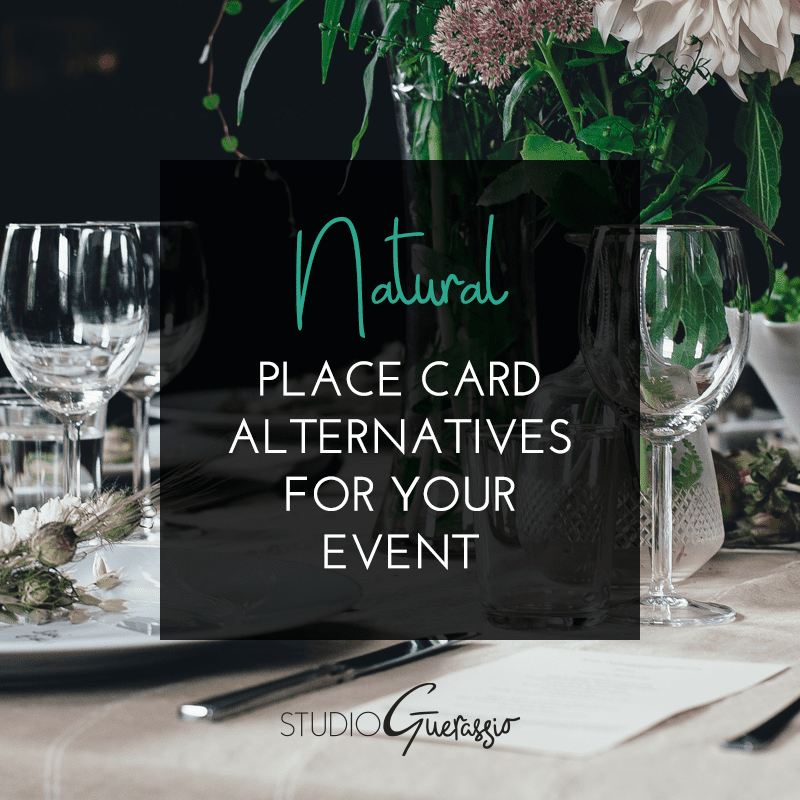 There is nothing wrong with these approaches, and in fact a simple paper place card is often the most budget-friendly option, or the easiest option for someone overwhelmed with party details. Add a little geology into the mix. If you can’t go to the ocean, bring the ocean to you. Rustic without resorting to burlap and lace. With a little help from the animal kingdom. I’m a bit of a nature girl at heart, so these really speak to me (and I’m kind of mad I didn’t explore this route for my wedding! Hindsight). The great part about a lot of these ideas is that if you have time to comb your local bit of nature and decent handwriting, you can DIY them no problem. Some of these would also double nicely as a party favor with a little tweaking. And who doesn’t like a two-fer? What do you think? Do you prefer traditional place cards or something new? Any nature-inspired ideas I missed? *As someone who has wrangled an event with 75 people and certain Problem Combinations, I can tell you with authority that a seating chart is necessary for a smooth evening, as headachy as it might be to set up. **I also thought of antlers and flower petals/live flowers as place cards (where the writing is actually directly ON those items), but Pinterest didn’t yield any results for those. Be the first and let me know!